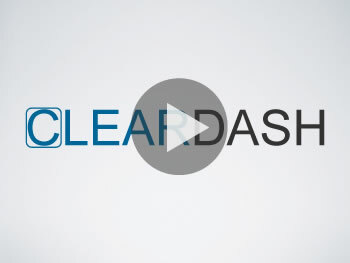 ClearDash improves the way service-based businesses manage information. Stop wasting time on non-billable tasks and streamline the management of your company with our simple web-based software. Having all the information you need about your customers in a single place (contacts, history, rates, quotes, invoices, service requests, etc.) is a tremendous time-saver. Billing is painful. But not with ClearDash. All of your labor, parts and recurring charges flow through one system which integrates with QuickBooks so that your accounting personnel don't have to change their workflow. Managing a business means managing vendors and having all of your vendor information in one place (rates, line cards, history, contacts, etc) means you spend less time juggling information and more time with your customers. If your company has to manage more than just labor, ClearDash can help tame and track the sale of parts, reimbursables and recurring charges with ease. Whether your company uses work-order requests, service requests or trouble-tickets it's important to provide your customers with a simple method for requesting services. Having a clear, professional quote format is critical to the credibility of your business. Spreadsheets can make a lousy first impression so having an elegant quoting system can be the difference between a sale and a lost opportunity. There is no faster way to grow your business than by paying commissions for referrals--yet nobody does it because it can be an administrative nightmare--not so with ClearDash. Every service-based business struggles with the management of billable time. Simplify this process by employing ClearDash to manage your workflow and automate your billing. See what it's like to complete a full month's billing in 5 minutes. "I could not imagine using any other time-tracking and billing system to run my business. After all the other ones that I have used and tried over the years, I find that ClearDash is the resource I continue to go back to time and time again. It has become my critical line of business application." D. Dennen -- President, Dennen Communications Technologies, Inc.